There are very few true living legends in the world of classical music, few who have sustained greatness and grown throughout their lives. Pepe Romero is such an artist. He has been honored by kings, heads of state, and major institutions-the encomiums continue to pour in. But to Romero, his most important contribution has been reaching the common man. 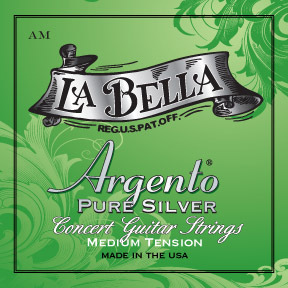 He has communicated the richness and beauty of the classical guitar to millions of people throughout the world. He has, indeed, become an ambassador of classical music, and, correspondingly, of the classical guitar. Pepe was born in Málaga, Spain, in 1944. In those days, following the devastating Spanish Civil War (1936-39) and during the Second World War, Spain was in desperate economic straits. Basic survival was the primary challenge. Yet, in spite of this, Celedonio Romero and his remarkable wife, Angelita, instilled in all three of their children a love of music that transcended the profound misery surrounding them. By age seven, Pepe set foot on the concert stage for the first time, at the Teatro Lope de Vega inSevilla. And now, more than fifty years later, he continues to mesmerize audiences throughout the world. During that time, he has given literally thousands of concerts worldwide, many with the remarkable Romero Quartet, and many as a solo instrumentalist. He has worked with almost every major conductor alive, and has to his credit more than 60 recordings (among which are 20 concerto recordings with the Academy of St. Martin-in-the-Fields, with both Neville Marriner and Iona Brown). Pepe Romero has premiered works by some of the finest composers of the twentieth and twenty-first centuries. Joaquín Rodrigo, Federico Moreno Torroba, Lorenzo Palomo, Padre Francisco de Madina, Paul Chihara, Enrique Diemecke, Ernesto Cordero, and, most poignantly, Celedonio Romero, have written compositions for Pepe. Always a champion of music by composers in earlier periods of music history, he has also delved into rare archives to re-explore lost pieces by Fernando Sor, Mauro Giuliani, Francesco Molino, Ferdinando Carulli, Johann Kaspar Mertz, Luigi Boccherini, and others. In 1992, Pepe Romero performed on a groundbreaking laser disc of the Concierto de Aranjuezwith Neville Marriner and the Academy of St-Martin-in-the-Fields. He played a prominent role in the major film documentary Shadows and Light: Joaquin Rodrigo at 90, which received numerous plaudits worldwide (including the Chicago International Film Festival, International Emmy Awards, and San Francisco International Film Festival). Maestro Romero’s many accomplishments include: world premieres of Rodrigo´s Concierto andaluz (with the entire Romero Guitar Quartet), Concierto madrigal (with Angel Romero), and Concierto para una fiesta; Federico Moreno Torroba’s Diálogos entre guitarra y orquesta(Pepe was personally chosen by Moreno Torroba and Andrés Segovia for the world premiere recording of this work dedicated to Segovia); and Lorenzo Palomo’s Concierto de Cienfuegos(with the Romero Quartet) and Nocturnos de Andalucía (both released on the Naxos label). He also revived the great orchestral work Metamorfosi de concert by Xavier Montsalvatge, with Gianandrea Noseda, and premiered as well as recorded the Concerto for Guitar and Orchestrawith Trumpet Obbligato by Paul Chihara, with Neville Marriner and the London Symphony. In 2005 the Romero Quartet recorded Concierto vasco para 4 guitarras y orquesta by Francisco de Madina (written for the Romeros) with the Basque National Orchestra on a Claves release (entitled Aita Madina). A prominent new recording entitled The Romeros: Generations, features premieres of works by Jorge Morel (such as El Maestro, dedicated to Celedonio) and by Pepe himself, Recuerdos del pasado. In the spring of 2005, a solo recital release calledCorazón Español became available on the CPA Hollywood Records label. Shortly thereafter, on the same label, came Classic Romero, another invaluable recital recording. In the summer of 2008, Pepe Romero recorded a splendid solo-vocal work by Lorenzo Palomo, with internationally recognized Spanish soprano Maria Bayo. It included the song cycles Mi jardín solitario (with texts by Celedonio Romero) and Madrigal and Five Sephardic Songs and was released on the NAXOS label in 2009 along with Palomo’s Concierto de Cienfuegos with the Romero Quartet and Rafael Frühbeck de Burgos conducting the Sevilla Royal SymphonyOrchestra. Celebrating their 50th anniversary and released in 2009, is a brand new recording by the Romeros for Sony´s RCA Red Seal Label entitled Los Romeros: Celebration. In November 2011 Deutsche Grammophon released Christmas with the Romeros featuring the Romeros and Christmas favorites. 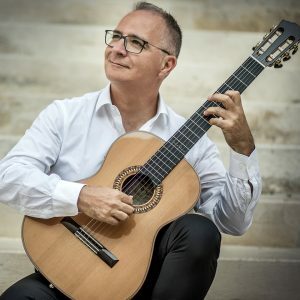 A new Spanish solo guitar collection featuring Pepe Romero includes a premiere recording of Suite Madrileña No. 1 by Celedonio Romero and is due for release in summer 2012 by Deutsche Grammophon. In the 2012/2013 season Pepe Romero will be honoring the 100th anniversary of the birth of his father, the legendary Celedonio Romero. And in 2013/2104, Pepe Romero will tour the world celebrating his own 70th year. Pepe Romero has performed (by himself and with his family) at the White House, the Vaticanfor Pope John Paul II, for HRH Prince Charles, Prince of Wales, King Juan Carlos and Queen Sofia of Spain, and Queen Beatrice of Holland. He has been a special guest at music festivals inSalzburg, Israel, Schleswig-Holstein, Tanglewood, Menuhin Festival, Osaka, Granada, Istanbul, Ravinia, Garden State, Hollywood Bowl, Blossom, Wolf Trap, and Saratoga, among many others. In the United States, he has appeared with leading symphony orchestras in Philadelphia,Cleveland, Chicago, Houston, Detroit, Pittsburgh, Boston, San Francisco, Dallas, New York, andLos Angeles, as well as with the Orpheus Chamber Ensemble and Boston Pops. European ensembles with which he has appeared include the Academy of St-Martins-in-the-Fields, Dresden Philharmonic, London Symphony, Monte Carlo Philharmonic, I Musici, Zurich Chamber Orchestra, Philharmonia Hungarica, Solisti di Zagreb, Hungarian State Orchestra, Spanish National Orchestra, Spanish National Radio Television Orchestra, Norddeutscher Rundfunk, Hamburg Philharmoniker, L’Orchestre de la Suisse-Romande, Lausanne Chamber Orchestra, New Moscow Chamber Orchestra, American Sinfonietta, and Bournemouth Symphony—among many others. In addition, he has collaborated with such distinguished conductors as Sir Neville Marriner, Rafael Frühbeck de Burgos, Jesús López-Cobos, Eugene Ormandy, Antoni Ros-Marbà, Josep Pons, Arthur Fiedler, Lawrence Foster, Enrique Jordá, Andre Kostelanetz, Leonard Slatkin, Phillipe Entremont, Odón Alonso, Morton Gould, Michael Palmer, Guillermo Figueroa, Michael Zearrot, Miguel Ángel Gómez Martínez, Pedro Halffter, and Christoph Eschenbach. Pepe Romero has always felt, along with his father and brothers, that the sharing of one’s art is a personal responsibility. 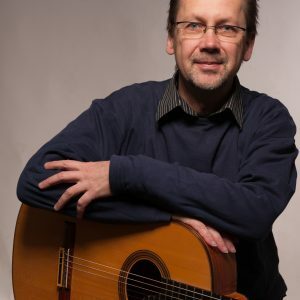 Mr. Romero has served as Professor of Guitar at the University ofSouthern California, University of California at San Diego, Southern Methodist University, and the University of San Diego. 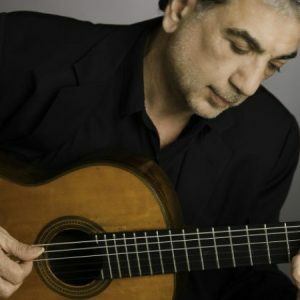 He has conducted master classes at the Salzburg Summer Academy, Córdoba Guitar Festival, and the Schleswig-Holstein Festival. In 2004 he was appointed Distinguished Artist in Residence at the University of Southern California’s Thornton School of Music. A biographical documentary about the Romeros appeared on PBS in 2001 entitled “Los Romeros, the Royal Family of the Guitar.” Following this production, German television released another brilliant documentary about the Romeros entitled ¨Los Romeros, the Dynasty of the Guitar.” In 2007, the Romeros received the President’s Merit Award from the RecordingAcademy, producers of the Grammy Awards, for their significant contributions to the music world and professional career achievements.